Water is a carrier and it enables the body to function by helping to direct electrolytes to the system. Imagine water like a car – electrolytes are like the passengers. The car can run itself however it needs the electrolytes to direct it where to go. This is why when we deplete ourselves of essential electrolytes through sweating and other daily functions, we must replenish what we have lost. So since we’re making you sweat, now it’s time we help you replenish! We sweat it out, now it’s time to replenish. When we deplete ourselves of essential electrolytes it is crucial we replenish for our body and muscles to work optimally. Electrolytes are the fundamental buildings block to life. Did you know electrolyte balance is vital for daily functioning? Proper electrolyte balance is essential for optimal muscle efficiently; however, electrolytes go much deeper than just the muscles. Electrolytes help our organs and tissues function properly, help regulate our bodies PH levels, blood pressure, heart contractions, nerve signaling, digestion, bone building and the list goes on. Sip Fit is a 100% ALL natural electrolyte blend that helps replenish and restore your body at a cellular level. With no dyes, no preservatives and no coloring, Sip Fit is a perfect addition to your workout stack and works best after a DRIP FIT® workout! Adults: 1 Serving per day. During sweat intense day, supplement up to two times. Take a few hours before or after taking medications or other natural health products. Take with food. Completely dissolve in 250 mL cold water or juice before drinking. To dilute you can add up to 1L of water, and sip throughout the day. Recommended Use: Helps in the development and maintenance of bones and teeth. Adequate calcium (and vitamin D) (throughout life) as part of a healthy diet, (along with physical activity) may reduce the risk of developing osteoporosis, may help prevent bone loss/osteoporosis (in peri- and postmenopausal women) (in later life). Source of/An electrolyte for the maintenance of good health. Helps to maintain normal electrolyte balance. Helps in the process of normal regulation of cell division and specialisation. Helps to maintain proper muscle function, including the heart muscle. Helps in energy metabolism, tissue formation and bone development. Helps to prevent calcium deficiency. Helps to prevent magnesium deficiency. Helps to prevent potassium deficiency due to low dietary intake. Helps to maintain the body’s ability to metabolize nutrients. Recommended Dose: Adults: 1 Serving per day. Take a few hours before or after taking medications or other natural health products. Best taken post workout or physical activity . Completely dissolve in 500 mL cold water or juice before drinking. What are electrolytes for and who should use them? Proper electrolyte balance is essential for optimal muscle efficiency; however, electrolytes go much deeper than just the muscles. Electrolytes help our organs and tissues function properly, help regulate our bodies PH levels, blood pressure, heart contractions, nerve signaling, digestion, bone building and the list goes on. If you are sweating, be sure to get those electrolytes in! Can I use electrolytes everyday? Do they have any other benefits? You can use electrolytes every day. Sip Fit is 100% ALL natural, and only have the ingredients your body NEEDS. 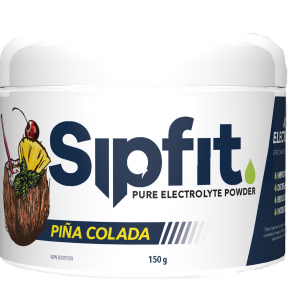 What are the ingredients in Sip Fit? 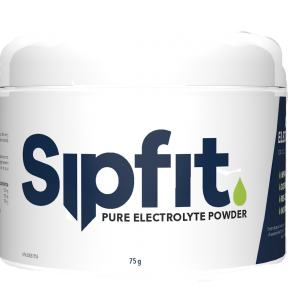 Sip Fit ingredients are pure minerals from the earth. Since taking SipFit I feel better overall. I love being able to replenish my electrolytes without any additives. I feel so much better when I’m consistently using electrolyte powder!!! This one is Oder & flavourless, helps replenish fluids & electrolytes lost during physical work/everyday living, exercise, or illness, or following exposure to extreme heat to help prevent dehydration. I just feel so much better especially being I’m a salty food lover so hydration doesn’t always stay on par on my own account!! I have one scoop of SipFit every morning with lemon essential oils as my “morning cocktail”. This is SUCH a great way to naturally achieve an alkaline state in my body and help with inflammation, digestion and overall cellular function. My mom takes SipFit everyday too to help prevent muscle spasms & cramps. She notices a huge difference and won’t go a day with out! Ok.. this stuff is the bees knees. As a hot yoga teacher and someone who loves to sweat staying hydrated is sooo important. Ever since I have started taking this daily I feel way better, have more energy, don’t feel like I need to drink 10L of water a day, and love that there are no additives! Really love the pina colada flavor. I drink it in the morning when I wake up and am feeling dehydrated. Also helps me push through during longer cardio sessions. Definitely a game changer! Take Sip Fit when I’m not feeling 100% or feel like I’m starting to get sick. It does wonders and replenished my body with what it needs minus all th additives. I love Sip Fit. I will take Sip Fit when I’m not feeling 100% or feel like I’m starting to get sick. It does wonders and replenished my body. It’s also not flavoured so you can add it to anything you want! This stuff does wonders!! I workout everyday whether it’s at the gym or hot yoga having this all natural electrolytes make me feel sooo much better throughout my day with more energy! Makes me feel so good knowing that I’m keeping my body alkaline and to help stay hydrated! Since I’ve started using sipfit as a regular product in my daily routine I have noticed such a difference! Not only in the gym, but at home POST gym! Nothing is worse than cramping up and not being able to do the things you love! Thanks to sipfit, no cramps, no headaches and lots more energy! If you’re serious about sweating..you need to be serious about replenishing those lost electrolytes!!!! SipFit is a MUST..and pina colada is SO good! 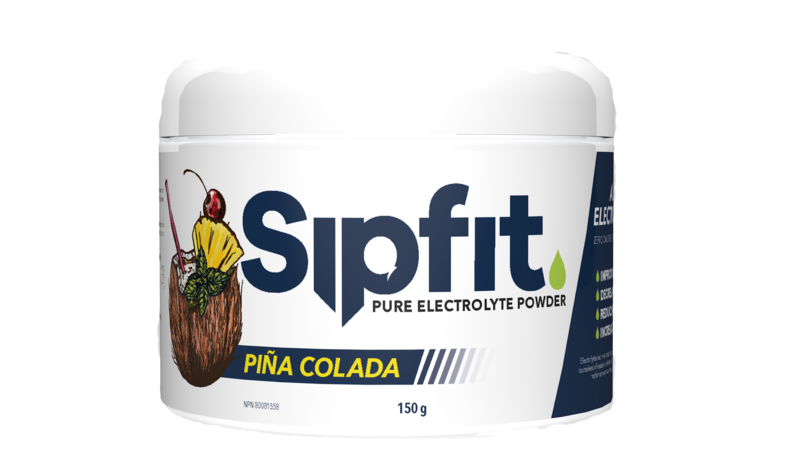 Sipfit tastes like you’re in the Caribbean sipping on an actual Pina Colada. Not too sweet. Great hydration. Great taste! I can not believe how much this helped replenish my body, and get rid of my chronic headaches. SipFit is a must have in my daily routine. I can’t say enough good things about SipFit, it’s been a game changer for me. At least once a month, I get really bad headaches. When I take SipFit, it helps the headache go away completely, or reduces the pain by a lot! 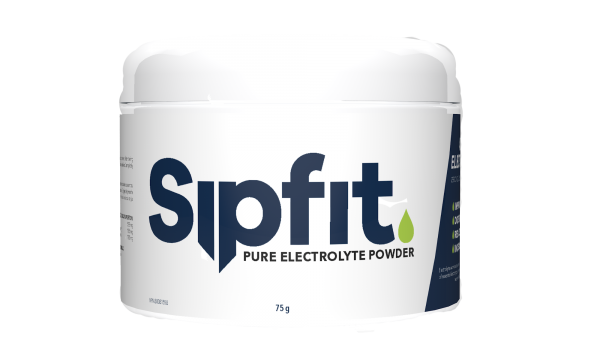 I used to always go for Gatorade to help, but now I use SipFit to get the electrolytes without all the sugar. I’ve also found working out and sweating regularly, it’s been amazing with replenishing my electrolytes and keeping my body functioning at top notch.